In what’s become an extension of The City Lane, an online travel, food and culture magazine, the Brunswick Beer Collective have been podcasting about beer and not-beer for the past four years, mostly from The Alehouse Project in, you guessed it, Brunswick, Melbourne. Aside from the banter, they also happen to take lovely pictures of beer and have quietly amassed one of Australia’s largest beer Instagram accounts. 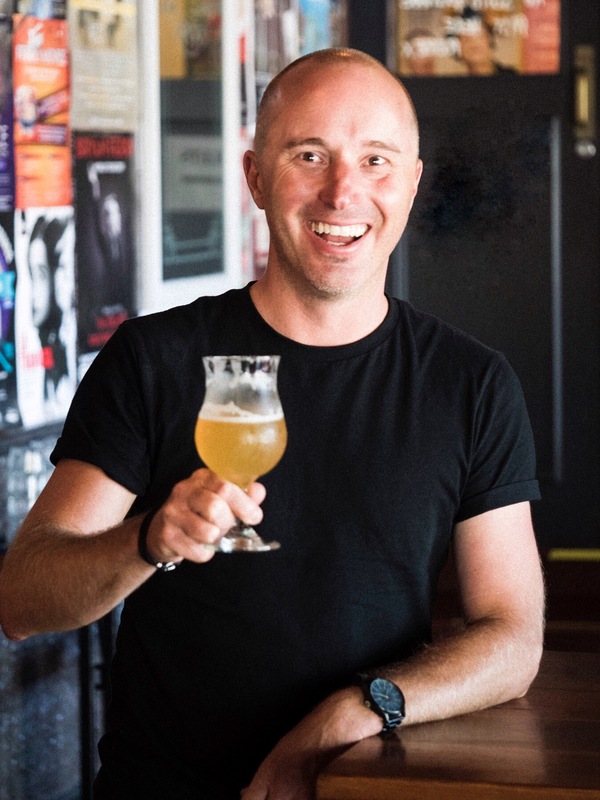 Guy Southern spoke with the photographic third of the team, Paul Kristoff, about the importance of Windex, Ikea coffee tables and organic Instagram growth for one of the most informative articles in this Aussie Beerstagrammers series. There’s a lot to learn, so grab a beer and settle in for the Brunswick Beer Collective. Paul, Jeff and Chris form the Brunswick Beer Collective. How did you get into sharing your beer love on Instagram? Chris (Shorten), Jeff (Chee) and I were drinking some craft beers on my balcony after an Australia Day party several years back and Chris suggested that our nonsense conversation was something that people might actually be interested in listening to. Having my food and travel “brand” The City Lane meant that I knew the importance of being active across social media. Once we’d settled on a name for the podcast I quickly secured our domain name, Instagram, Facebook, and Twitter accounts just to make sure that we owned them. We didn’t anticipate Instagram becoming as big as it was for us. We thought we’d only really be using it to let people know when we had a new podcast episode up, but these days it’s just as important as the podcast when looking at the overall Brunswick Beer Collective “brand”. What’s your typical setup like? The Instagram account is primarily run by me. When I’m taking photos of beer at home or at a friend’s house I use a Fujifilm X-T3 with a 7Artisans 55mm/F1.4 lens. It’s a small, cheap, manual third-party lens I found on eBay and it works wonders for getting the subject in focus and nice bokeh in the background. I Windex my coffee table (which is just a big piece of dark glass from IKEA) before setting up the shot to get that nice, clean reflection. The position of the coffee table in my apartment, near a big window with semi-transparent blinds that diffuse the natural light, is a big help. Good light is king. When I’m out and about it’s either the X-T3 with my Fuji XF 16mm f/1.4 WR lens (a great all-rounder for beer/food, and street/venue photography which I also do), my Fujifilm X100S, or my Google Pixel phone camera. Jeff is also logged in to the Instagram account and occasionally posts some photos when he discovers something interesting on his frequent travels. He uses his camera photo but has a bit of a phone obsession so whatever phone I mention now will probably be something different by the time you read this! Always Android though. Modesty aside, can you describe your style and suggest a couple of images that best represent your account. Our style was all over the place in the early days, but now it’s become a lot more consistent. Can/bottle on the left, glass on the right, both sharply in focus, with a non-busy background and lots of bokeh. When at a venue, I don’t want as much bokeh as I want people to be able to get a sense of the surrounds. As for the caption, if it’s a beer I’m featuring I have five things that I always include at the end – brewery, venue/purchased, style, ABV, flavour profile. I think people really appreciate knowing that they can find that info quickly, in the same spot of each caption. Changes to social media platform algorithms can create headaches when it comes to engagement. How do you stay on top of this constantly shifting digital sand? Long story short – you can’t. We were very lucky to start our account a good two years before Instagram switched to an algorithmic feed so were able to grow very fast in the early days – hundreds of new followers a week and posts regularly getting over ten percent engagement. That’s just not possible these days. So many people spend so much time trying to “figure out” or “beat” the algorithm, but given that nobody really knows what the algorithm is doing, and that it’s constantly changing, it’s a fool’s errand. For me it’s all about authenticity in both the photos and the captions. There are people out there who buy fake followers and likes, more so in the food and travel niche that The City Lane operates in rather than the beer niche, but it does happen with beer too. It can be frustrating to see others being dodgy and "getting away with it", but ultimately what’s the point? What Instagram accounts do you follow and what makes them special? Froth – we love what Emily has done with Froth. Between her and Clint their Instagram is an honest behind the scenes, which takes people beyond the magazine. To Ol – these guys have reposted a few of our photos over the year. Their artwork is always great, their beers, more importantly, are also fantastic, and they seem like a nice bunch of people. Hashtags are synonymous with Instagram yet have zero influence on Facebook. What are some of your favourites and what’s one of the weirdest ones that you’ve seen or used? I find hashtags aren’t as important in the beer niche as they are in food and travel, simply because it’s a small niche. 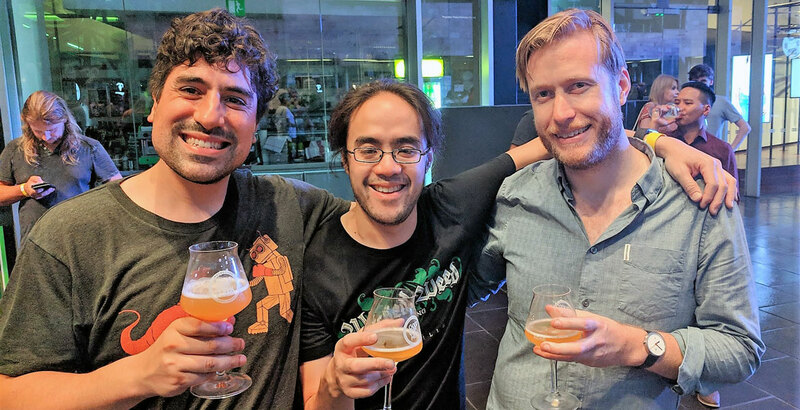 I try to use more specific ones that are likely to appear in top posts for that hashtag – #beerthread, #perthbeersnobs, #craftbeercrew are three of my favourites as they link to the three Aussie Facebook groups that I enjoy and are super relevant. There’s no point in using big ones like #craftbeer and #beer, as you’ll rarely appear high enough on the top posts section for anyone to notice it. I’ve not really noticed any weird ones – it’s mostly typos that I see when people have probably had one too many. #cratbeer #beercnas, that sort of thing. A lot of businesses see social media as time-consuming. How long do you typically spend on your posts and what could a new brewery do to stand out on Instagram? It is time-consuming. Taking the shot, editing the photo, writing a caption and posting it can take anywhere from five to fifteen minutes. When you’re trying to post content daily and engage with followers by responding to comments and commenting on other’s photos, you can easily spend over an hour on Instagram each day. And then there’s stories, which hold two purposes. One is to be more live and spontaneous – like if I’m on a pub crawl I might do a quick photo/video story from each venue in real time – and the second is to promote, via the inclusion of a link, a beer related article that’s gone up on the website. For a new brewery, the same rules apply as for any other Instagram account. Use your main Instagram feed for high quality, consistent photos, and use stories to have some fun and show people what goes on behind the scenes. Be authentic and have a voice that represents you – that’s how you build an audience and stand out from the crowd. And don’t be tempted by social media "experts" who claim that they can grow your follower count by crazy numbers – they can’t, and if they are they’re probably doing something dodgy which will hurt your account in the long run. Real followers and meaningful engagement is what matters, and that takes time and effort to build. How do you choose which beers to feature? It’s a combination of whatever is in my fridge that I feel like drinking or whatever I’m drinking when I’m out. Having said that, unless it’s a photo where the venue/surrounds are just as important as the beer, I won’t post just beer in a glass from tap without a can or glass – it’s boring and nobody really engages with that sort of photo. Cans, great artwork, and super hazy or interestingly coloured beers will always get the highest engagement, but it’s not determinative. Interestingly, people really love photos of shelves/fridges full of different beers. Our best engaged photos ever have been these sorts of photos, even if the quality of the photo has been a bit iffy and the caption had nothing particularly meaningful in it. Instagram has the potential to engage brands beyond traditional marketing methods. What do you see as the benefits for beer businesses getting involved with Beerstagrammers? As with every niche out there, Instagram has become so important from a marketing point of view. 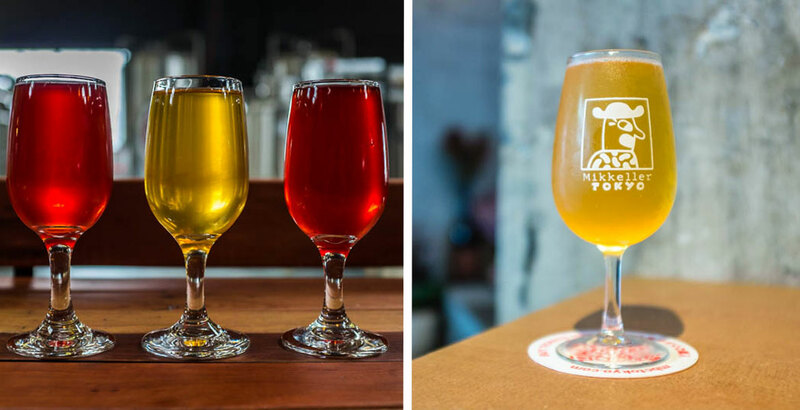 For the small cost of sending new release beers to good quality Instagrammers, breweries can get hundreds of thousands of real people in the target audience seeing photos of their beers. What tips do you have for anyone keen to, as they say, crush their Beerstagram game? As the old adage goes, the best camera for a shot is the one you have on you at the time. So many people get caught up with the idea that they need to spend lots of money on a “good” camera when the reality is that their phone camera is adequate for 90 percent of shots. Read up on the basics of photography, learn about light, composition, focal points etc. Work on becoming a better photographer. Eventually you’ll probably want more control over the shot and to do things that you can’t do with your phone, and only then should you start looking at getting a dedicated camera. I see it all the time with The City Lane, where I go to events at restaurants and cafés that are full of people with massive SLRs and lenses in auto mode, taking shots that, when they end up on Instagram, are very average. Conversely, there are people at these events who only use their phone camera and end up with fantastic shots. If you’re staging a shot, make sure the background isn’t busy – you want people’s eyes to be drawn towards the focal point – the beer, not the plate with your half-eaten lunch on the bench behind it. Make sure your glass and surface are clean and sparkling. Windex and detergent are your friend, and paper towels are a great way to avoid streaks. Find a style that suits you, the kind of photos that you enjoy taking, and stick with it. Post at a time of day when most of your followers are online (you can find this using Instagram’s Insights menu), and post to a consistent schedule – daily, every two days, twice a week etc. Add locations, tag in breweries and venues, and get super niche with your hashtags. Be sure to engage with the beer community. Respond to people who leave comments on your posts and like and leave meaningful comments on the photos of others. Finally, have fun. This shouldn’t feel like a chore. And any Instagram faux pas people should look to avoid? Don’t buy fake followers and likes. You might think that people won’t notice, but they will. You also risk Instagram flagging your account and permanently hurting your real engagement. Post your own content. If you’re just reposting other people’s content then why should I bother following you? Make people want to follow you by being yourself and standing out from the crowd. Having said that there may be times when you want to repost something because you genuinely want to share it and don’t have a photo of your own. That’s fine, but always give credit to the source account. Don’t sacrifice your principles for the sake of some freebies or cash. Breweries do send us new release beers and we do post them on the account, but we only accept beers that we’d buy anyway. 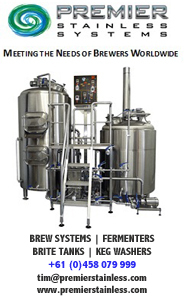 We’re honest in what we say about them, and we disclose that they were provided by the brewery or distributor. Between The City Lane and Brunswick Beer Collective I’ve knocked back what amounts to tens of thousands of dollars because the brands didn’t align with what I do, or they wanted to control the content output to the extent that it didn’t feel like my voice was coming through. Would you post about beer "x", or write a caption that says "y" if there wasn’t free beer or money involved? If it doesn’t feel right, don’t do it. And ALWAYS disclose if there’s freebies involved or you’ve been paid to create sponsored content. #spon and #ad are two commonly used hashtags. No one will begrudge you for doing some sponsored stuff or saying yes to some free beer, but if you try and hide it, or create content that isn’t aligned with what you do, you’ll lose any credibility you had. Note: It should go without saying but all photographs published in this article are the work of the Brunswick Beer Collective. They have also been cropped slightly to fit the site, hopefully without upsetting Paul! You can find the rest of Guy's series here.